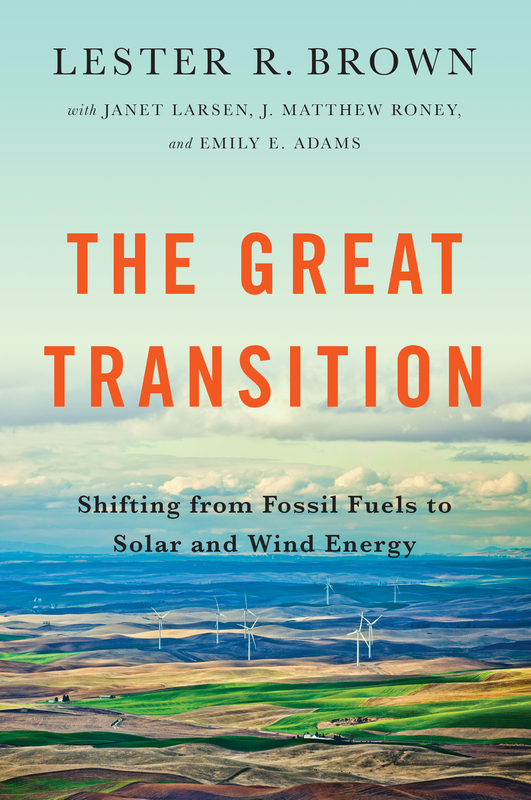 The Great Transition: Shifting from Fossil Fuels to Solar and Wind Energy lays out the rapidly evolving global shift toward cleaner sources of energy, driven by economics, policy, and the hard realities of accelerating climate change. Lester R. Brown and co-authors Janet Larsen, J. Matthew Roney, and Emily E. Adams, stress that the shift taking place now represents a lasting change in the way we power the world economy. The slides are designed to be shared, so feel free to pass along the link to others who might be interested. Use the slideshow to anchor a lesson in the classroom or to spread the word within your community on why and how we need to mobilize to fix our energy system. You are welcome to modify it to suit your needs. We ask only that you appropriately credit Earth Policy Institute and the photographers.